Does it sound tempting to fall asleep to wolves snoring or staying overnight in a train carriage above a river? Read about unique accommodation in Namdalen here. Does it sound tempting to fall asleep to wolves snoring or wake up among the birds in the canopy? Or maybe staying overnight in a train carriage above the salmon river Namsen? Read about unique accommodation in Namdalen here. For an exciting accommodation experience, try staying the lavvos among the predators in Namsskogan Familiepark (eng: Family Park). The whole family can sleep on reindeer pelts and cook dinner togetherover a campfire in a traditional Sami “gamme”. In the winter you may wake up to wolves howling on starry nights. In the summer you can start the day in the park by greeting your closest neighbour, the brown bear. Read more here. At Namsen Salmon & Train Experience you can experience something completely unique, namely sleeping overnight in a refurbished NSP sleeper train carriage from the 1960s, over the salmon river Namsen. You wake up on the middle of the bridge with stunning views of the river. There is a sanitary carriage, a restaurant carriage and a kitchen carriage. 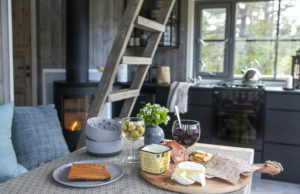 This is certainly a unique accommodation offer, especially for those who wants to try their hand at world-class salmon fishing in Namsen. Do you dream about waking up high above the ground with birds tweeting around you or falling asleep with a skylight view of a starry sky? Or maybe just creating some unforgettable memories with your loved ones? Himmelhøy Tretopphytter in Fosnes offers accommodation for 7 people. A fireplace, a fully equipped kitchen and canoes included in the rent (canoes in summer). All equipment and amenities are included so you and your loved ones can focus on enjoying the peaceful Namdalen nature. Kystmuseet Norveg offers accommodation in traditional rorbus (summer only) in the historic fishing village of Sør-Gjæslingan. In the preserved fishing village you can experience beautiful nature, authentic Norwegian fisherman houses (rorbus) and surround yourself with history. Sør-Gjæslingan is only available by boat. In the summer season M/s «Fldafjord» has regular departures. Contact Kystmuseet Norveg for more information. 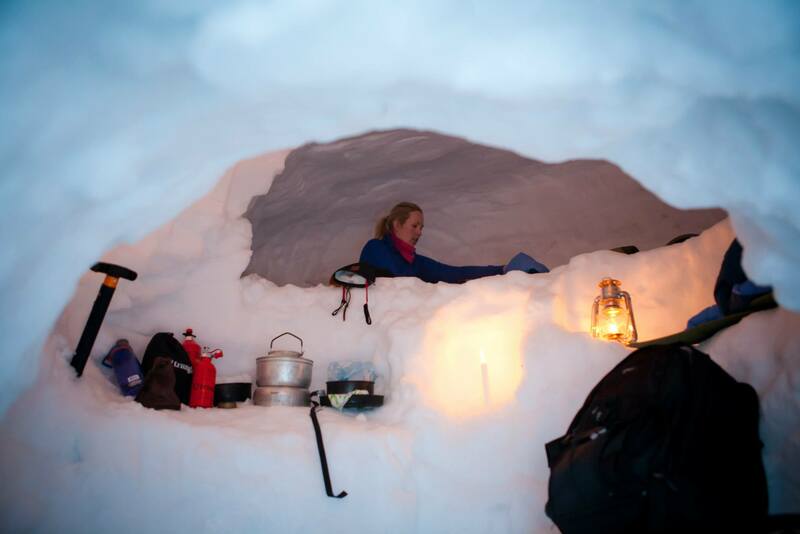 During the winter you can try snow caving with Tundra Tours in the mountains of Namdalen. They will bring you into the wilderness with skis and pulk and teach you about safety during winter outdoors activities. They will also teach you how to build a snow cave. End the day by making a lovely dinner in nature. If you are lucky, the Northern Lights might dance across the sky during the evening. This is a great adventure for those who wish to learn how to stay warm and safe on winter activities in Norway. On the geology island of Leka you can stay in a glamp, meaning a glammed-up camping lavvo. Skei Kulturtun has lavvoes for rent with hotel standard beds, lights, blankets and a cosy atmosphere. In the service building there are toilets and showers. Breakfast is served in the main building. Read more here. At the Scandic Rock City Hotel in Namsos you can bunk down in a custom-made guitar-bed, in the country’s only Trønder Rock Hotel. The interior of the hotel reflects Norwegian rock and the history of Trønder rock. Find more information and book here.